After participating in three separate month long challenges in 2016, I saw how focusing on a single theme or medium can lead to real progress in ideas or skills or both. So when I completed the last challenge I decided to focus January (2017) on figuring out how to paint the ocean. 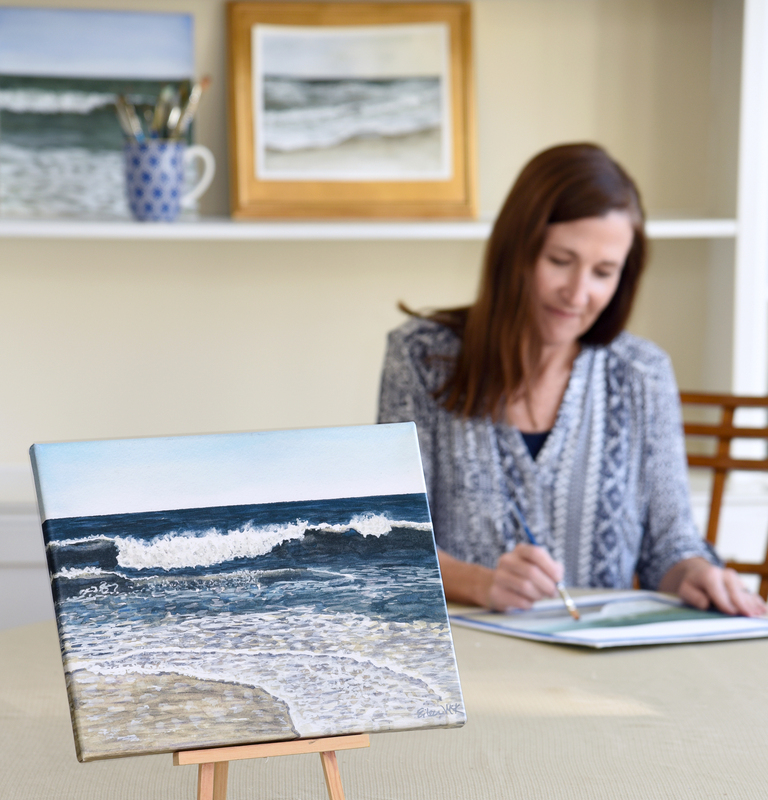 I often wondered, “How do you capture the ocean in paint?” I was determined to find out! January led to February and on and on, and I’m still painting the ocean! I’ve progressed in so many areas, but am finding new areas to strive for. The ocean is an amazing subject because it changes so much. Prints of my seascapes are available on watercolor paper or canvas, in many sizes including the new “mini” canvas which is 11″ x 14″, at shop.eileenmckenna.com. The perfect gift for the beach lover in your life! I grew up just blocks from the beach and now live a 10 minute car ride away. It is truly my favorite place. 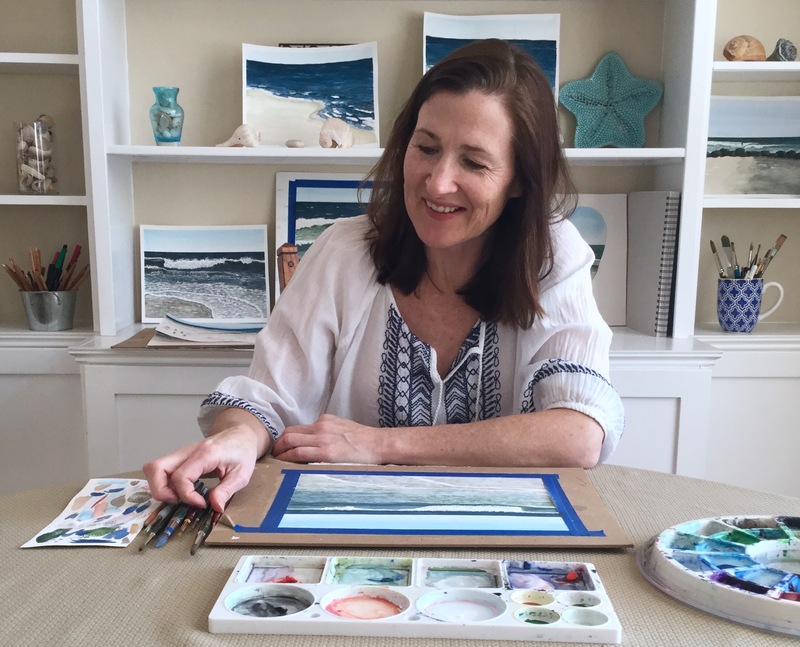 When I began making real progress with my ocean paintings, I felt I had found my thing. As 2017 winds down, I don’t anticipate stopping. If anything I can’t wait to drive down to the beach and take some new reference photos! 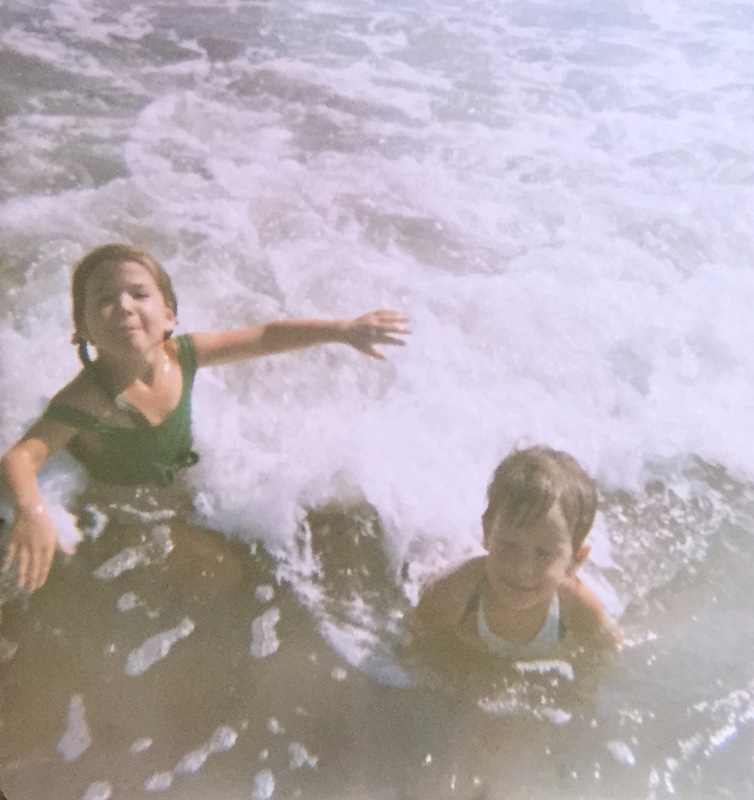 That’s me on the left, age 3 or 4, with my first best friend Nancy. Sign up here for my newsletter “My Creative Collection.” It’s all about what is inspiring me in hopes of inspiring you! Photo of me with the “mini” canvas by Dawn Herlihy Reilly. 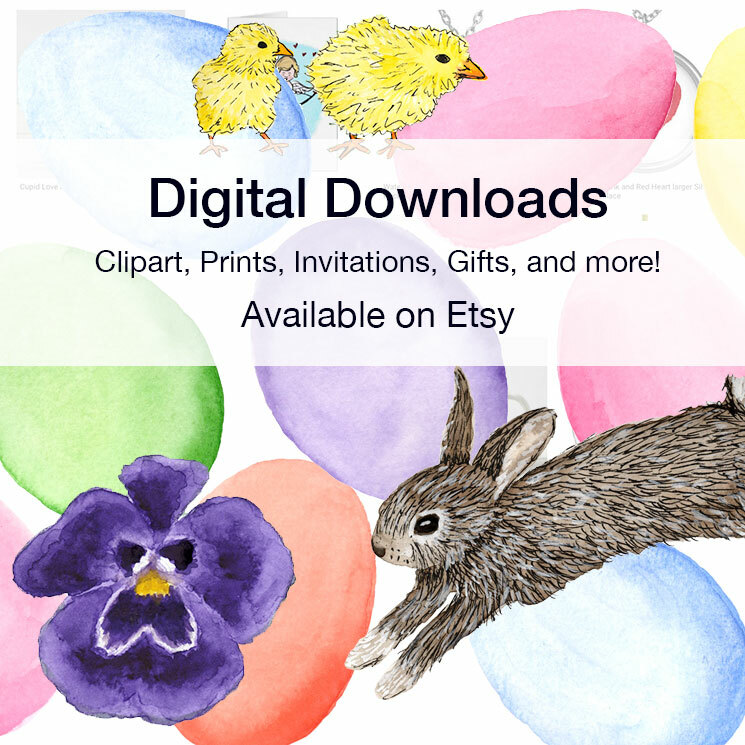 Categories: painting the beach, Watercolor | Tags: beach, Beach art, Beach lover, coastal art, coastal interiors, gifts for beach lovers, ocean watercolor, painting the ocean, Seascapes, watercolor | Permalink. Your ocean paintings are fantastic! It ‘s great to see the progress you’ve made. I agree Eileen, Your continual practice shows your improvement over the months. Beautiful art making.